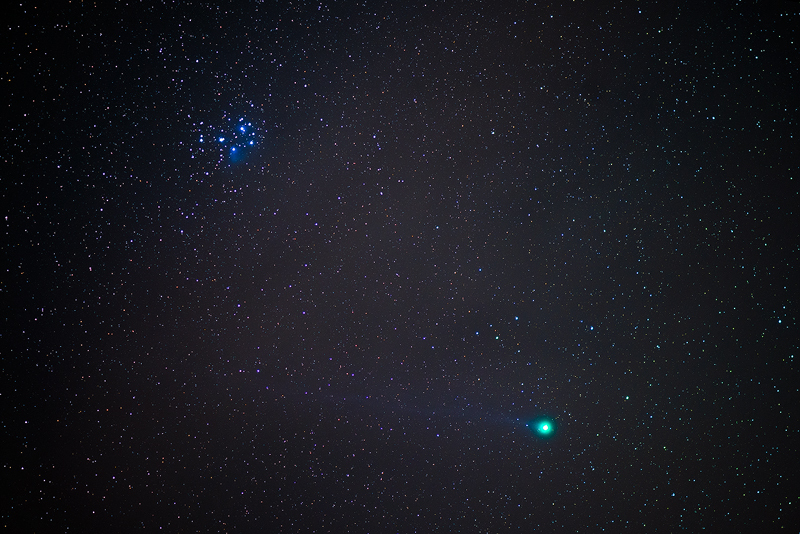 Comet Lovejoy captured just North of Edmonton, Alberta late Friday night (Jan. 16/2015). Taken with just my Nikon D610 and Nikon 105mm lens at 1000 ISO, f/ 2.8, for a few 60 second exposures and dark frames using my friend Jeff's iOptron SkyTracker. Processed with DarkSkyStacker and Lightroom.